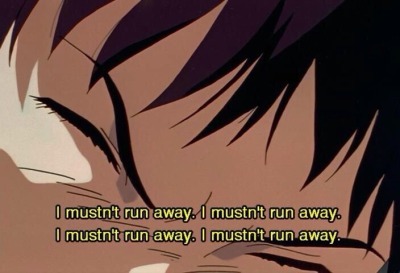 Translation:I run away, I run back, I run away, I run back. "run over" is one of the hints listed for "elfutok." Does the translation "I run over, I run back, I run over, I run back" work? I think that would only work if you included a target. "I run over to the tree." - "Elfutok a fához/fáig." Or "Odafutok a fához." "Elfutok" in itself only indicates "away from here". What does "run over" in itself mean to you? "run over" makes me think of running over to something. For me the meaning focuses more on where you're going to than where you're coming from. It probably partially has to do with the fact that you're very likely to include a target with the English "run over." The only situation where I can imagine it being left out is if the place you're running to has already been established. Yes, OK, you megerősíted, amit gondoltam (I thought). So, maybe, "run over" is not a good translation for "elfutok". "Odafutni" should match "run over (there)". Yes, you can establish a target, then just keep repeating the "odafutok" part. "Run over" also has some other, more unfortunate meanings. Those are not covered by "odafutni". You can also "run over" to your neighbor to borrow some milk, correct? That would be "átfutni" or "átszaladni". It's nice to know that you can use "átfutni" in that sense!